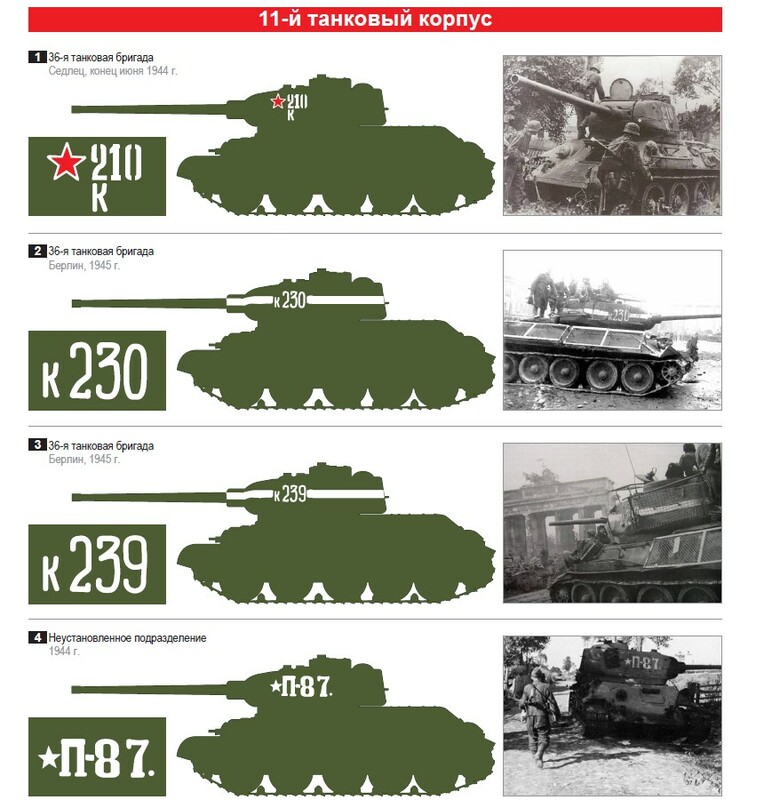 9 tank corps of Red army. 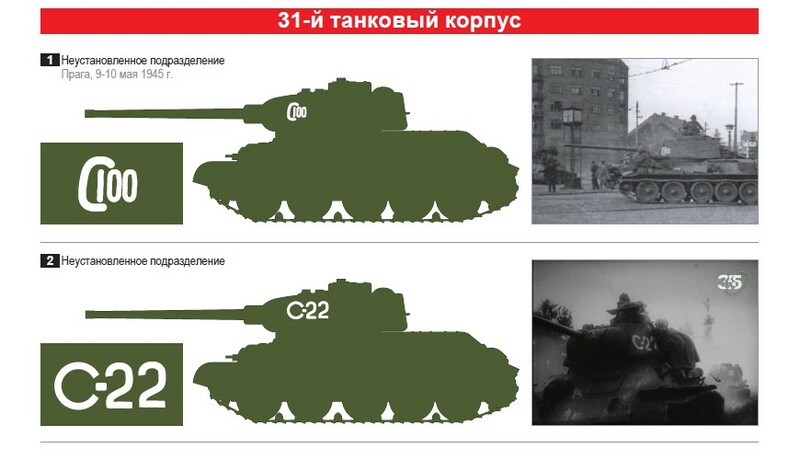 11 tank corps : signs of 36 and 20 tank brigades. 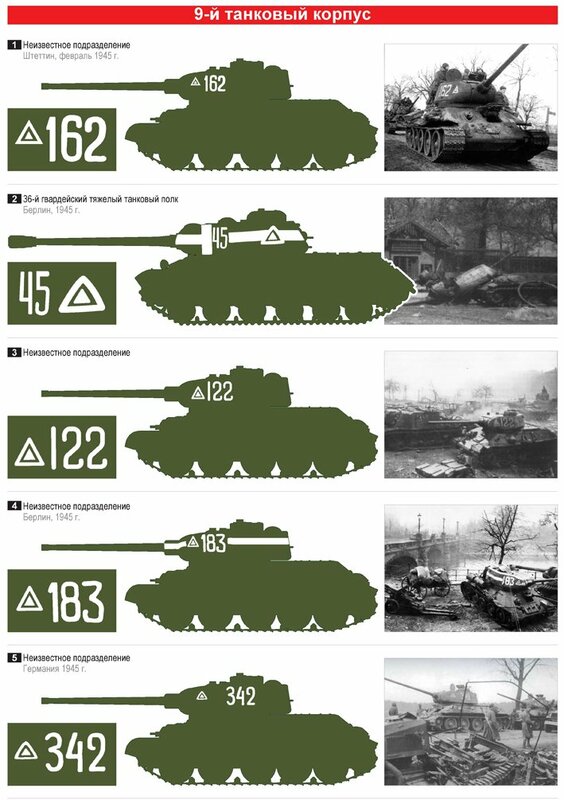 31 tank corps of RKKA emblems.